Cold rolling or roll bending of steel or alloy material is recognized world wide as the most economical process to produce curves or bends in sectional or plate material that can be applied in situations as diverse as a simple sign post, right to a bridge girder or structural roof beam. MG Engineering enjoys the benefit of employing a dedicated team of highly skilled and experienced operators, who look forward to a challenge and to ensuring the highest quality of workmanship. MG Engineering have the capabilities of pressing plates up too 50mm in thickness. We work with grades such as Mild Steel, Stainless Steel, Hardox and Bissaloy and rolling plate up to 25 mm thick over a width of 3 meters. 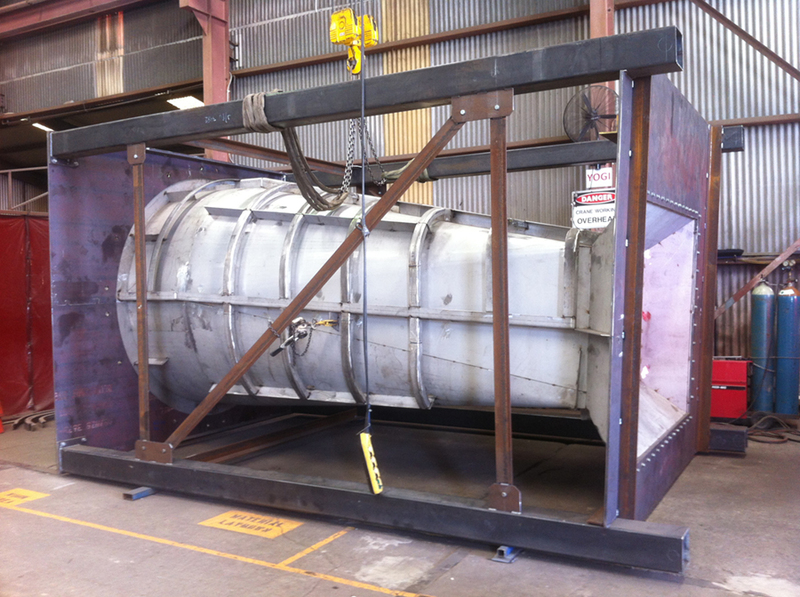 MG Engineering has the capability and capacity to take on large steel plate projects. Plate work projects have been constructed for ship building in the Defence & Maritime Industries and tanks, Pressure Vessels and Hoppers for the Mining and Oil and Gas Industries. MG Engineering has worked with various plate grades in various thicknesses from 4 – 80 mm plate. MG Engineering has the proven capability of working with various specialised metals such as stainless steel (various grades), duplex, molybdenum, DH55, DH36 and aluminium. Our work site has a segregated area in which these are manufactured, minimising the risk of contamination. MG Engineering’s quality control system ensures that the handling, storage and manufacturing processes from conception through to cleaning and delivery of products are of the highest quality and meet the requirements of the client.